Florida Back Institute always appreciates feedback from our valued patients. To date, we’re thrilled to have collected 31 reviews with an average rating of 4.84 out of 5 stars. Please read what others are saying about Florida Back Institute below, and as always, we would love to collect your feedback. Dr. Lowen, Caroline, the entire staff- always treats me with he utmost kindness and care. Everyone at the office is carring and sincerely helpful. Dr. Lowen and Caroline always take the time to explain everything. David was very professional, empathetic and thorough setting up my Physical Therapy needs in motion while making sure all of the side effects from my surgery were addressed. 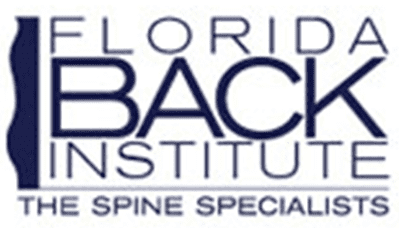 I left feeling reassured and very positive that all of my concerns will get better following my PT at the Florida Back Institute. Although I had to wait an extremely long time to see the doctor, once I did, he was thorough and completely explained my problem and the solution. I feel ever so much better with just one treatment. Dr.Fernyough and hos team are very professional, caring, and top notch. I am in the best of hands!!!! Dr. Lowen and staff keep me going! Their talent, professionalism and compassion are outstanding. Thank you so much. Dr Fernyhough did epidural shots in my cervical spine and gave me much needed relief from constant pain! Amazing and professional office. Dr. Fernyhough is one of the best in his field. He operated my back many years ago with much success. I always recommend him to my friends. David explained everything so I could understand it. Setup a plan for my therapy. taken on time for epidurals by dr.lowen...must have been in right spot as very soon after I was...and have been since my shot !! Merle R. Unks & Ruth U.
Scott is a great asset to this office. His knowledge and experience are commendable. I have great confidence in him. Also, his personality helps patients to feel confident and relaxed. Dr. Fernyhough is the best! I would never even consider going to another facility. He did back surgery on be ten years ago for stenosis when I could barely walk. I have had no pain since. He is always considerate, professional and willing to take the time to answer any questions. We are grateful that we contacted him ten years ago. Terrific office and wonderful staff. Rehab department is top notch also. Dr. Lowen always treats you with respect and caring. Doctor Fernyhough Care made me feel that I was in safe hands. My experience has been positive as I have been feeling a little better.